This was a super simple marinade from the April ’10 issue of Martha Stewart Living. 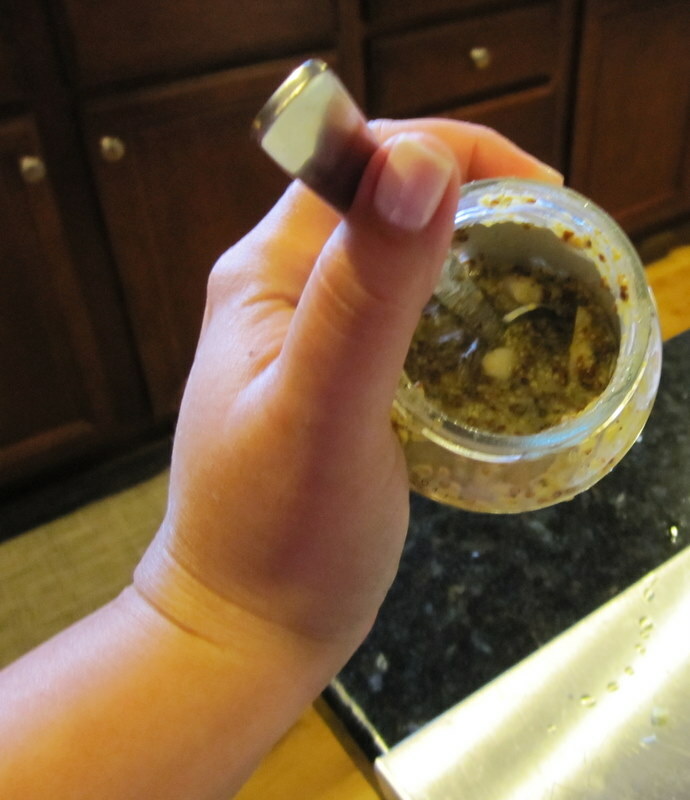 It’s a way to use up the last bit of mustard at the bottom of the jar, and you mix all of the ingredients in the jar, shake it up, and pour on the marinade. 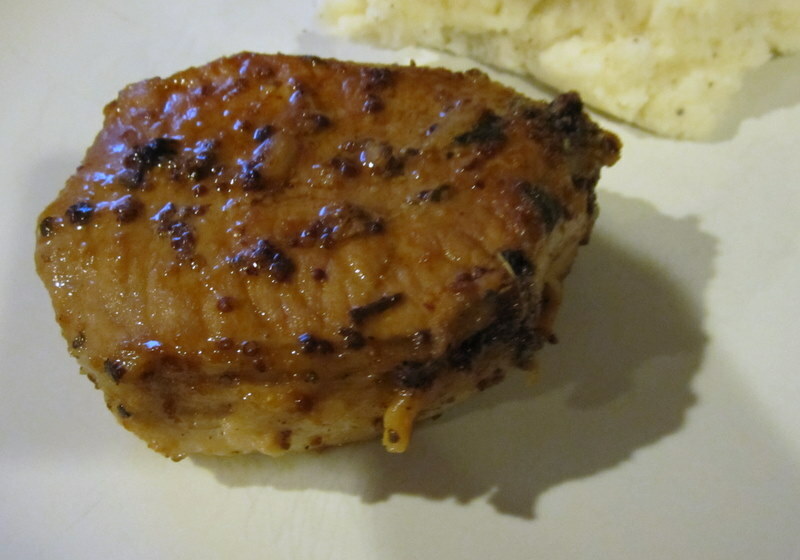 I used it on pork chops, the recipe (referred to as “No-Waste Marinade” in the magazine) suggests using it on 2 chicken breasts or 2 pork tenderloin. It was delicious, but I dried out my pork a little when I cooked it. The chops were really thick, I should have finished them in the oven. Combine all of the ingredients in the mustard jar and shake well. 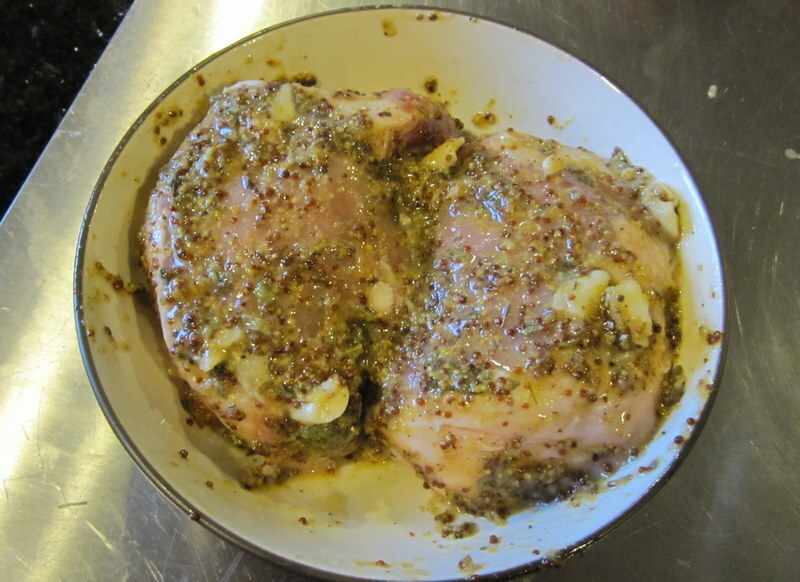 Pour marinade over your meat and let stand, covered, for 1 hour. Roast, broil, or grill the meat (the recipe says wipe off the marinade, I left some of it on).